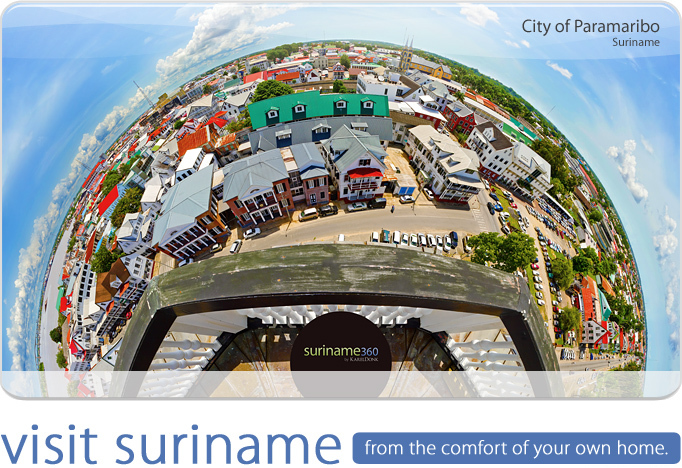 Welcome to suriname360! 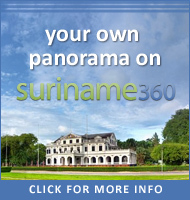 This website offers you high-resolution panoramic images and interactive virtual tours of places in Suriname. 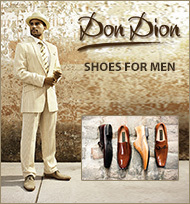 Through this website you can literally visit Suriname from the comfort of your own home. As nice as this virtual experience is though, it can't be a substitute for visiting Suriname yourself. We hope to welcome you in our wonderful country in the near future!